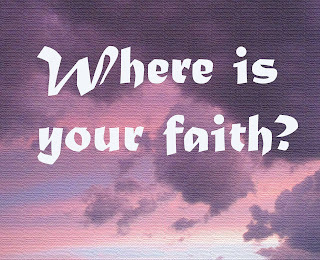 Hope for Today's Heart: Where is your Faith? One day Jesus said to his disciples, “Let us go over to the other side of the lake.” So they got into a boat and set out. As they sailed, he fell asleep. A squall came down on the lake, so that the boat was being swamped, and they were in great danger. He got up and rebuked the wind and the raging waters; the storm subsided, and all was calm. “Where is your faith?” he asked his disciples. Tim and I traveled to the Cleveland area over Memorial Day weekend. On Tuesday, our daughter would be having surgery at the Cleveland Clinic. As we eased into the week with prayer and time reflecting on God's creation, we grabbed some sandwiches and settled into a picnic table by Lake Erie. The water stretched before us much like an ocean; where we couldn't see land on the other side. A few boats bounced along the water. The seagulls squawked. In the distance we saw what the gulls were excited about. A storm with a wall of rain was crawling across the lake. The water turned a deep, dark blue and the temperature dropped about ten degrees. Thunder rumbled and the wind kicked up and lifted the waves. The storm was heading our way. We watched for a while, mesmerized by God's power. The whole scene gave me cold chills. Yet I knew I was safe. Jesus was with us, just as he'd be with our daughter in surgery. I believe in the power of prayer and the amazing power of God. But, like the disciples I had to find out about that power through experience. The disciples didn't know Jesus well enough to understand that he could speak to the storm and it would obey. They hadn't seen his amazing powers and the miracles he would perform. But in time they would. 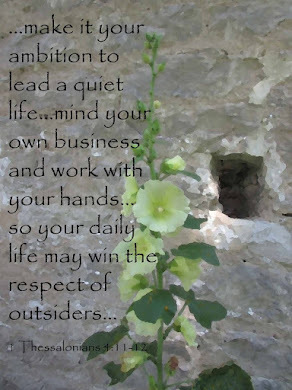 Like them, I had to spend time with Jesus through prayer and learn about him through the Bible. Every day I get to know him a little bit better. Praise God for Jesus!